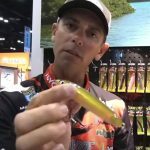 Last time we talked about buzzbaits. This time we’ll look at walking sticks. The allure of a simple stick sliding from side to side across the water’s surface is something we humans don’t fully understand. My thinking is that it looks exactly like a baitfish feeding along the surface. Other anglers believe it looks like something — anything — in distress so a bass strikes at it out of instinct. I say simple stick because that’s what I like to fish. In truth, however, you can walk any number of baits if you have the experience. But, we aren’t going to talk about them because I like the stick version best, especially during the fall and early winter. Note that I’m including winter in this discussion. There’s a good reason for that. 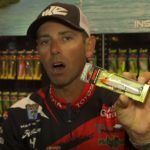 Bass will strike topwater baits in really cold water late in the year. I’ll fish one in water that’s no warmer than 50 degrees and sometimes when it’s down into the 40s. Don’t confuse spring with fall and winter. A spring topwater bite requires much warmer weather. Another topic we need to address is water depth. 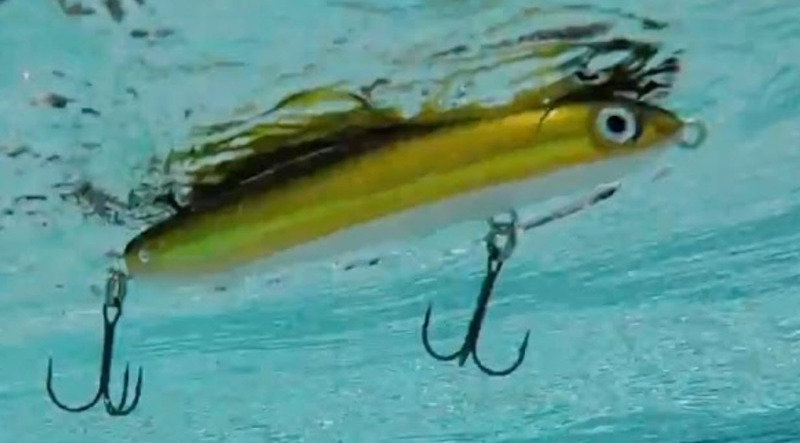 In clear water bass will come up to a topwater lure from depths of 20 feet. When the water has some color to it that depth range can shrink down to 5 feet. 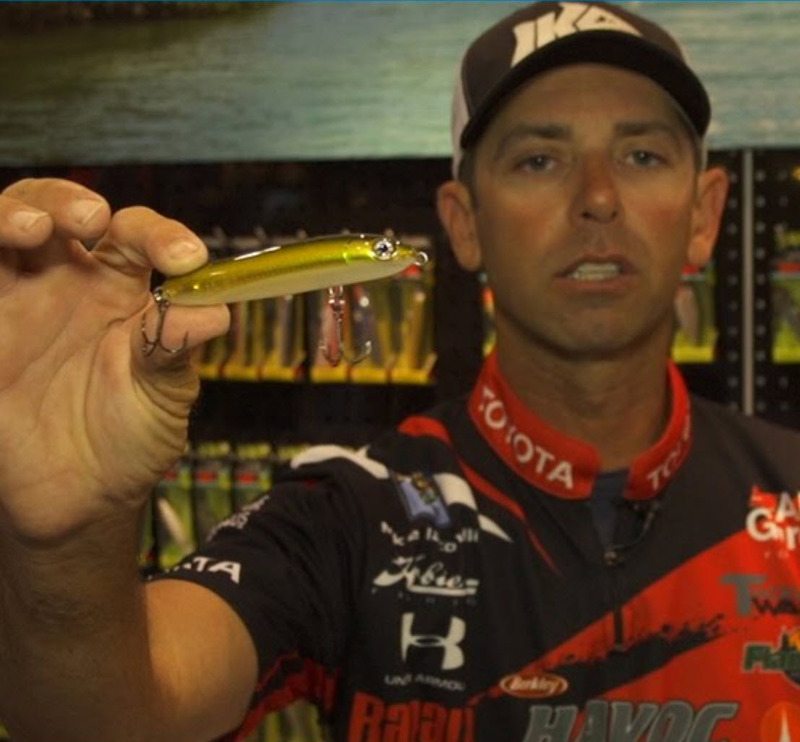 There’s no hard and fast rule to determine when a bass will come up and when it won’t. My advice is to fish your walking stick over water that’s deeper than you think you should. That way you’ll be sure. Over my 20 plus years of serious bass fishing I’ve probably walked every stickbait made. By far my favorite is the Rapala Skitter V. It’s 4 inches long so it’s just the right size to mimic most baitfish and it weighs 1/2 ounce so it’ll handle nicely on casting tackle. Along with that, it’s offered in 12 colors so you can match the hatch anywhere a bass lives. 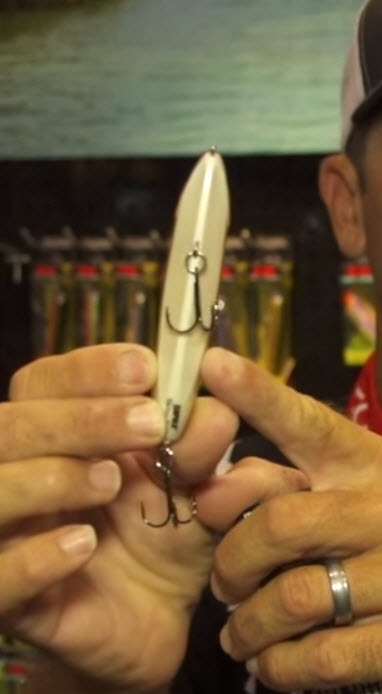 The thing that makes it really special, though, is that it has a keel molded into the bottom of the lure body. It’ll walk effortlessly regardless of whether you want a slow, lazy crawl along a point or a rapid, splashy run for the hills presentation. Find some open water over structure or cover and fish a Skitter V this fall and winter. You won’t regret it.